Are you or a loved one looking for fresh hairstyle this summer? 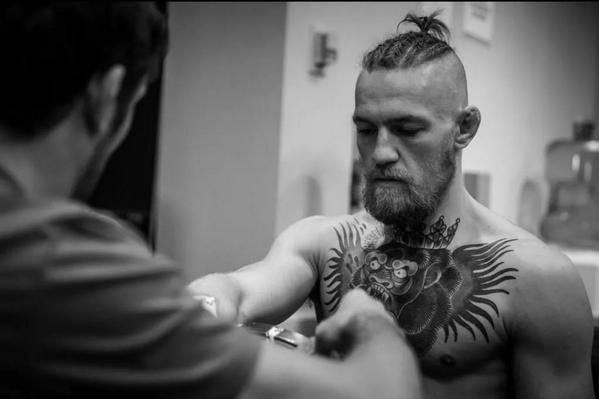 Maybe you want to look like ‘The Notorious’ Conor McGregor? 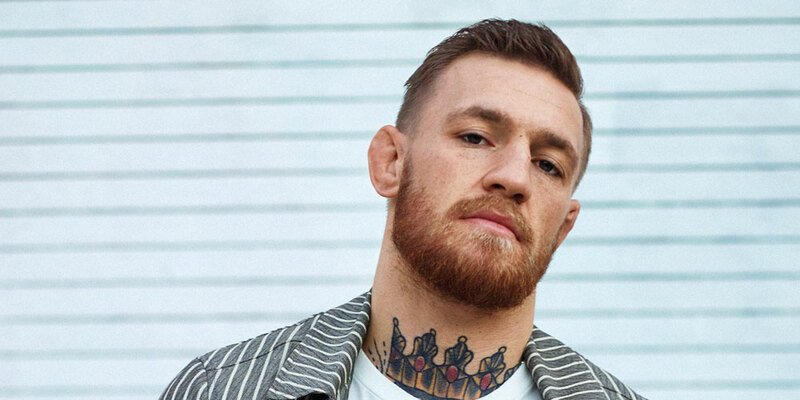 Well, it’s your lucky day as we take a look back at some of the best looks in hair and grooming that has donned the head and face of the MMA fighter. Every guy at some point in his life will want to try and grow a beard. Fact. Those of you that can and do have beards, take note of this one. Starting at the top Conor has gone for a simple but stylish look that’ll complement the contours of your face without needing to take to take too long in the morning. Following this down we have the beard, this is where the ‘trimmed’ comes in and that all important advice for you fellow beardies out there. Keeping the beard trimmed on the cheeks and on the neckline adds so much. 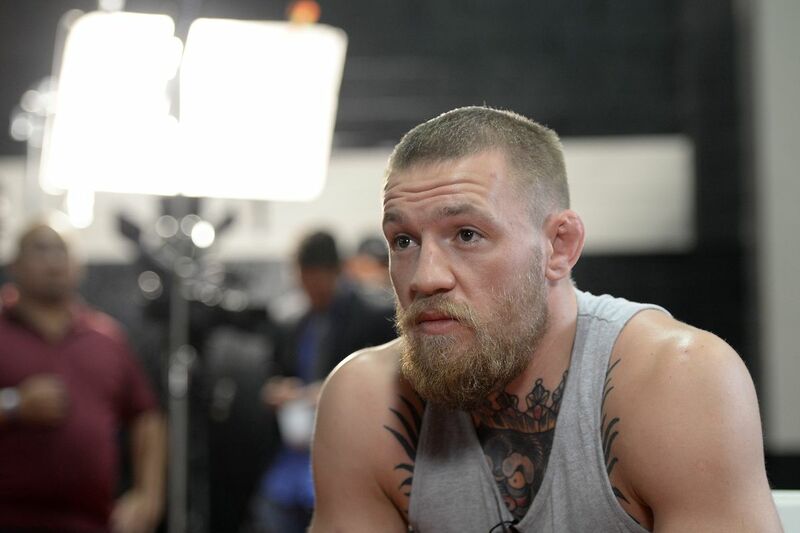 As well as this Conor has kept it fresh and well-shaped by trimming the beard to a slightly shorter length to add a bit more body. If you’re liking this look as much as we do then you’ll be wanting to know what to ask for when you head to barbers. Simply ask for a 2/3 tapered sides and have a trim on top (not too long that it becomes an undercut mind). Then, for the beard, get a length that you feel suits your face shape (trimming it and leaving it to grow out a bit also helps). This is a fairly easy look but it does come with the risk of using a lot of product. 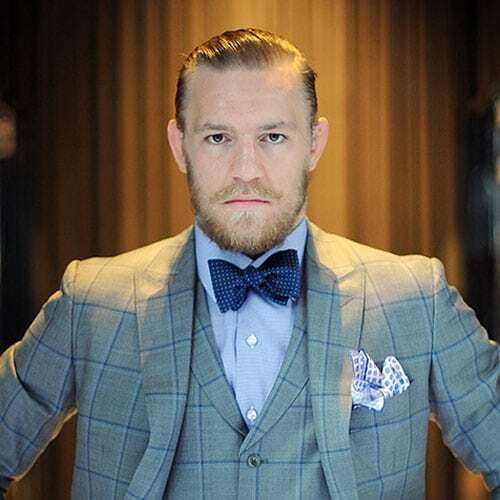 Partly known for this slick style, McGregor finishes this look off perfectly with this look. There’s a couple of ways you can get your hair looking like the picture above. You can leave the top long and have the sides a bit longer and comb it back with a decent amount of product or go for a short back and sides, long on top and again, comb it back. Summer is here and that only means one thing. Time to break out those buzz cuts. 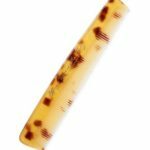 It is a risky haircut for those who have never tried it before but if you give it a go you can definitely reap the benefits. 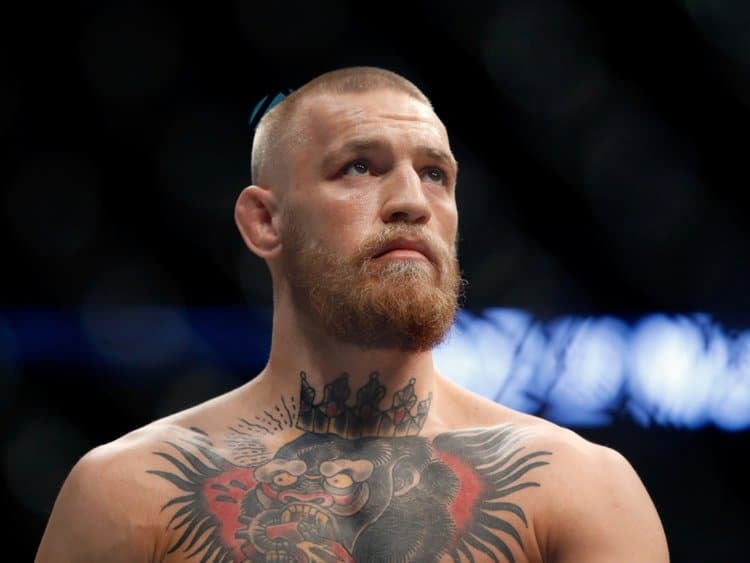 McGregor opts for keeping a more untamed beard with this look with can really add to the look, especially if you’re a bit nervous about being completely bald! Conor McGregor’s hairstyles seem to change with the seasons. But keeping it new and interesting is never a bad idea. How’s this for a different look? Conor has gone for a longer length with a side parting on the top. 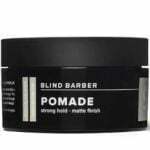 Great for those with a slightly bigger forehead. This is bold look and not one of for the everyday man. 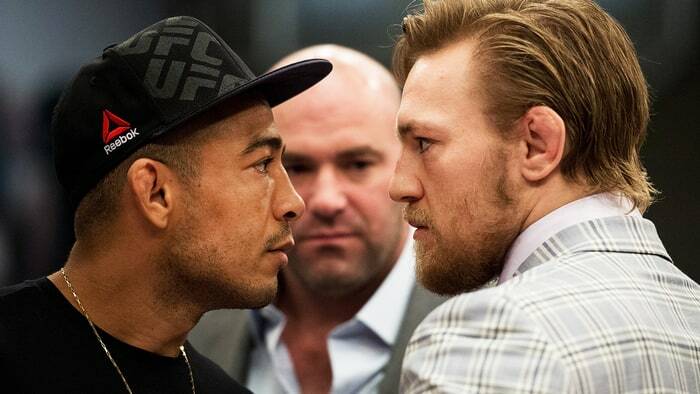 However, McGregor pulls it off easily here. Maybe it’s his line of work? Anyway, we love this look as it’s simple but sharp. 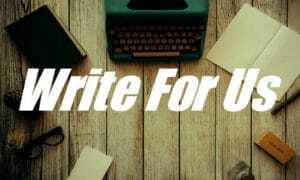 If you’re looking for this style it’s fairly simple. You need a no guarded shave on the back and sides making sure to keep the top long enough to braid (possibly down to your jawline). 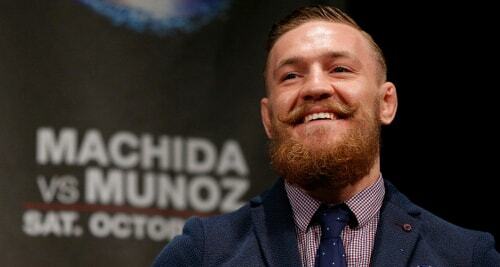 Much like many of Conor McGregor’s hairstyles, they’re complemented with a beard. Similar to the previous look (just a bit more easily obtained and easy to rock). There was a massive boom of men having undercuts around 2016. Adding a slicked-back top to the look Conor went for a tapered back and sides (number one on the clippers) and kept the top around jaw length. This look does take some time if you’re going from having short hair. However, with the speed that hair grows (won’t go too science-y) you’ll get the look in no time. 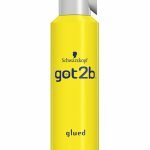 For other options try having the top of the hair down and roughed up with a bit of product to give volume. This is the style McGregor is currently going with and it’s not one that is usually seen. Instead of getting a shorter back and sides keep to just the short sides. Incorporating a mullet and slight fringe means the look is simple and easy to keep going with very little to no maintenance. Conor McGregor, as I have mentioned before, has a beard that goes perfectly with his hair. So let’s have a look at some of his beard styles. The handlebar moustache is an all-time classic look. Its smart, sophisticated and can add an edge to many styles. 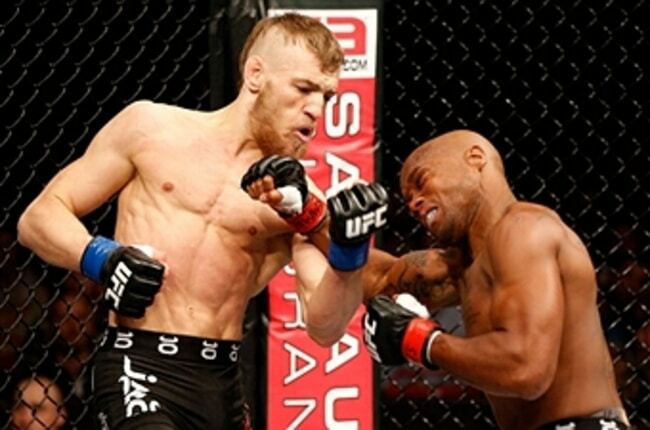 Here, Conor has paired it up with his signature beard and a tapered back and side’s haircut. Keeping the beard trimmed and shaped is a must. Growing a beard for a lot of men can be a daunting task. When does it grow? How to fill it out? What if it’s patchy? Well, fear not there are tips and tricks for that: https://www.mensjournal.com/style/5-tips-growing-beard/. But anyway, back to Mr McGregor. This is a great look for a more hipster vibe. If you’re lucky enough to be able to grow a beard you’ll need to simply keep a beard trimmer sand beard oil to hand. 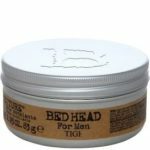 This will allow you to shape the beard and keep it well hydrated and looking soft. 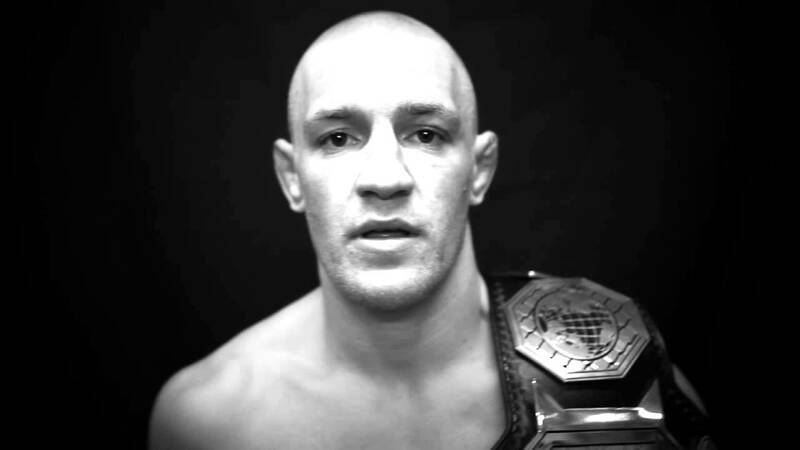 At the start of his career, Conor McGregor went for a completely clean shaven style on both head and face. This gives a more thuggish look and isn’t for everyone. However, it can also add to a look pretty well (depending on how you style yourself). 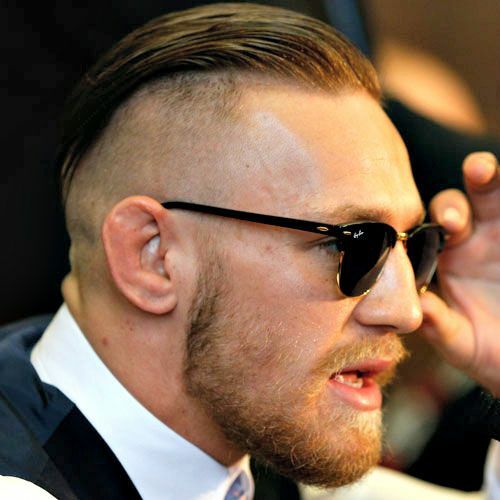 So there we go, a rundown of some of our favourite Conor McGregor hairstyles and looks from over the past few years. What’s your favourite? Comment below on which you think he should rock next and what you might go for. 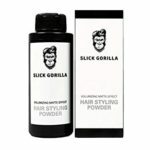 If you’re looking for any styling or grooming products that’ll help you with the looks shown head over to https://www.mankind.co.uk/.